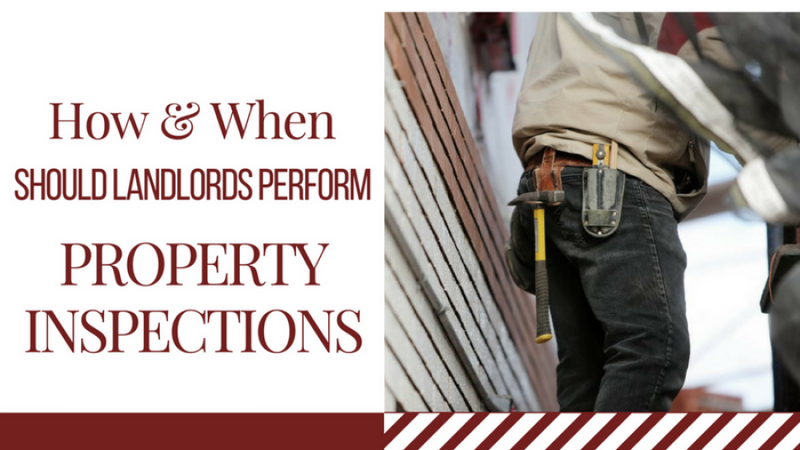 How and When Should Tampa Bay Landlords Perform Property Inspections? At Cavalier Estates, we didn’t always do home inspections. We do them routinely now, however, because we have found that they are beneficial. They help us, our tenants, and our owners. We use a third party company called On Site Pros. This takes out any of our own bias. We’re not making the decisions about what needs to be repaired or replaced. Instead, professional inspectors are looking at the property, and we’re getting a detailed report. Each report comes with the property address and the date of the inspection. We offer move-in reports, move-out reports, and midterm inspections while tenants are in the property. These inspection reports cover every detail about the property. Inspectors look at the age of the smoke alarm, and they test it. They point out cracks in the sidewalks, scuffs on the walls, broken blinds, leaks in the ceilings, and loose kitchen drawers. The reports cover structural issues as well as cosmetic concerns. The inspection reports shows tenant damage as well as current property condition. You’ll know how well your home is aging. We look for normal wear and tear as well as tenant abuse. If the garage door has a dent in it, for example, we’ll look at the previous inspection report to see if the dent has been there for a while, or if it happened with the tenant who is currently in the property. These reports allow us to make notes about areas in the home that might need maintenance. We get a good look at the property. For our owners who live out of town or out of state, this is helpful. You know you have eyes on the ground and you can always view your inspection report. Another way these reports help is with security deposits and tenant disputes. If a tenant does contest a charge on the deposit, we can show that tenant the prior inspection report and the new inspection report. It’s easy to compare the two, and disagreements are quickly resolved. We do property inspections because they’re needed, and the information is valuable to the owners we work with. It’s a good idea for you to do inspections even if you’re managing on your own, and we recommend that you hire a third party company to take care of this for you. If you have any questions about rental property inspections, please contact us at Cavalier Estates. How Does Property Management Software Benefit Tampa Bay Rental Owners? What Does Cavalier Estates in Tampa Bay Do for Rental Owners? © 2019 Cavalier Estates. All rights reserved. Choose the plan that works best for you.